Did You Notice? : NASCAR's 2019 Daytona Dreams Realized... Or Forgotten? Home / Cup Series / Did You Notice? : NASCAR’s 2019 Daytona Dreams Realized… Or Forgotten? Did You Notice? … We’re now five races into the Monster Energy NASCAR Cup Series season? The sport’s new handling package, qualifying debacles and Kyle Busch’s 200 have stolen the headlines since Daytona Speedweeks. It seems like a lifetime ago Denny Hamlin was celebrating in Victory Lane for the Daytona 500. But Hamlin has taken a different route than several past Daytona winners: backed up his performance. Restrictor plate racing typically produces one-hit wonders that don’t hold up over the course of the full season. Even veterans like Kurt Busch (2017), Matt Kenseth (2009) and Ryan Newman have struggled following Daytona 500 victories. That’s not the case here. Hamlin, armed with new crew chief Chris Gabehart, has been among the sport’s best six drivers. His average start of 5.0 leads the Monster Energy NASCAR Cup Series; he hasn’t finished a race worse than 11th. 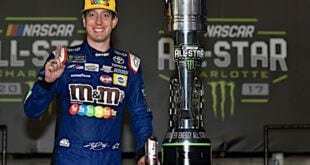 Teammate Kyle Busch has gotten all the headlines but it’s clear the No. 11 will be alongside him come playoff time. What about the other Daytona storylines? How many people have backed up their strong performances there over the past month? Or will we look back in July and say their great Speedweeks was simply a mirage? William Byron. Remember when this sophomore won the 500 pole? He led 44 laps and was a darkhorse contender for the win until a late wreck on lap 192 ruined his chances. New seven-time crew chief Chad Knaus seemed poised to push Byron to the top of Hendrick Motorsports. Byron has, since then, been arguably the season’s big disappointment. HMS has struggled as a whole but Byron sits 19th, the worst of their quartet and outside playoff position. A 15th at Auto Club Speedway Sunday (March 17) has been his best performance; Byron has led 24 more laps on the year but failed to close. Chevrolet’s Camaro remains a step behind in year two. But how long until the blame shifts from the manufacturer to the sport’s top team? At this point, armed with decades of success Knaus is the mechanical face of HMS. How soon before the overall mediocrity within the company falls on his shoulders? MIRAGE. 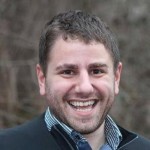 Matt DiBenedetto. DiBenedetto was a Daytona darling, leading a race-high 49 laps and putting himself in position to win. An ill-timed tap on the backstretch ended his chances, snuffed out momentum and the No. 95 Leavine Family Racing Toyota hasn’t sniffed the top 15 since. An 18th at Fontana is the best this group could do. But a closer look here shows there’s reasons to be optimistic. 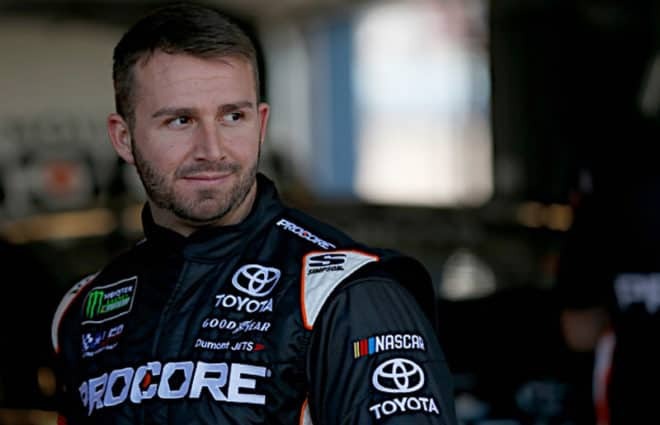 DiBenedetto’s average finish of 24.2 is about 2.8 positions above his career average with underdog operations. It’s also a tick better than Kasey Kahne (24.4) at this stage last year. A new manufacturer, new crew chief (Mike Wheeler, formerly from Denny Hamlin’s team) and new driver are all coming together. Michael McDowell. It’s easy to forget McDowell had a shot in overtime to win his first career MENCS race on the sport’s biggest stage. Then again, Logano, Busch and others won’t let you forget because they’re still mad at the way McDowell handled the end of the race. Picking the wrong lanes at the wrong times left the Front Row Motorsports driver fifth instead of taking a shot at the win off Turn 4 on the final lap. Since then, it’s been nothing but drama and disaster at his Front Row Motorsports No. 34. Mechanical problems ruined Atlanta the following week and then there was that bizarre fight with Daniel Suarez at ISM Raceway. McDowell wrecked in that race and hasn’t recorded a top-20 finish since Daytona, plummeting to 28th in the standings and 56 points outside a playoff spot. With teammate David Ragan putting together strong qualifying efforts, McDowell feels a step behind. He’s never been a lightning rod of controversy and this whole year feels out of place, awkward and heading downhill. MIRAGE. Ryan Preece. Preece weaved his way aggressively to the front in Daytona’s final laps. In-car camera shots left fans impressed as he deftly avoided a handful of late wrecks en route to eighth. But the next week, Preece slammed into a Rick Ware Racing car on pit road and hasn’t been the same since. Zero top-20 finishes the last four races have been compounded by teammate Chris Buescher’s success. Preece’s average finish of 25.0 after the West Coast swing sits far behind Buescher’s 19.2. 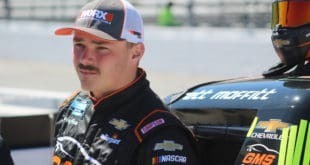 JTG Daugherty Racing also sits under the weight of Chevrolet’s 2019 struggles. But Preece raised expectations and the likable rookie has, thus far, failed to deliver. Keep in mind former driver AJ Allmendinger had a top-10 finish to start the 2018 Daytona 500; where did that get him? MIRAGE. Michael Annett. Annett’s Daytona triumph in the NASCAR Xfinity Series has been backed up by the best stretch of his career in years. Auto Club last weekend was his worst finish (13th) in a season that’s seen him rack up three top-10 results and an average finish of 7.8. Keep in mind Annett had just three top-10 finishes all of last year. Annett seems to have a second wind on his passion for NASCAR and crew chief Travis Mack, unceremoniously let go from the No. 95 MENCS team last year, is driven to prove doubters wrong. This team may even have an outside shot, believe it or not, at making the Championship 4 at Homestead-Miami Speedway. THE REAL DEAL. 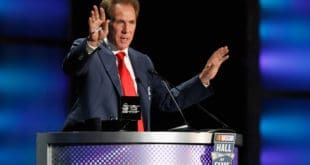 It feels like NASCAR is being deluged with criticism, from the snoozefest of a new handling package to qualifying to a Kyle Busch 200 moment that has fired up a segment of the fan base. On top of all that, a Forbes report pegged last weekend’s Auto Club Speedway crowd at a measly 35,000. You add it all up and it sounds like the sport is having a terrible year. Except… TV ratings are up three straight weeks! And new leadership (see: Scott Miller immediately pledging change after Friday’s Auto Club qualifying) is taking responsibility! It’s clear there’s at least a segment of the fan base that is willing to see if the kinks get worked out. But the sport does have a limited window to get this done. Martinsville needs to be its usual self this weekend, not some hollowed-out, bizarro version like we saw last spring. The Truck Series, with 41 trucks at one point on their Martinsville entry list, remain the healthiest series this season in terms of car count. Why? In my opinion, the spec engine reduces cost while no locked-in spots provide an easier barrier to entry. And remember, just two years ago people were leaving that series for dead despite quality competition. Perhaps there’s some lessons to be learned here? And the response will continue to have the same results until the get their heads out of the sand and make radical changes to negate the previous radical changes. I could still see Hamlin going winless the rest of the season, I mean, I don’t think he will go winless but it wouldn’t surprise me if he did. While he has gotten good finishes he isn’t dominating and leading a lot of laps. That is usually the best indicator (laps led) of who the guys to beat are. At 45 laps led he is 10th on the list (more realistically 8th as Byron and DiBennedetto are ahead of him). By contrast the top 5 lap leaders have 361, 122, 133, 142 and 150 making Hamlin’s 45 look a bit weak by comparison (especially since he’s won a race). Yes, he will probably have a good year but, so far, he isn’t dominating. As you stated, winning Daytona isn’t much of an indicator so we’ll just have to see how things progress.